Evident is an Elegant and Minimal WordPress Theme suitable for any kind of creative and business use. 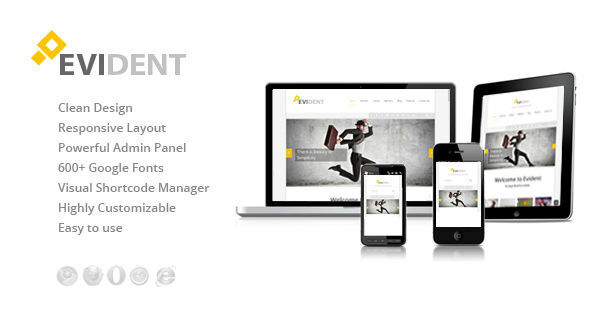 With Evident Theme you could customize background colors, page layouts, fonts, sizes, areas, and much more. Every added option was thought with the main idea of personalize the website in an easy way, providing a unique design to every customer. Fixed Portfolio Bug after items were filtered. Fixed media select on posts page. Fixed bad alignment of images at blog page.